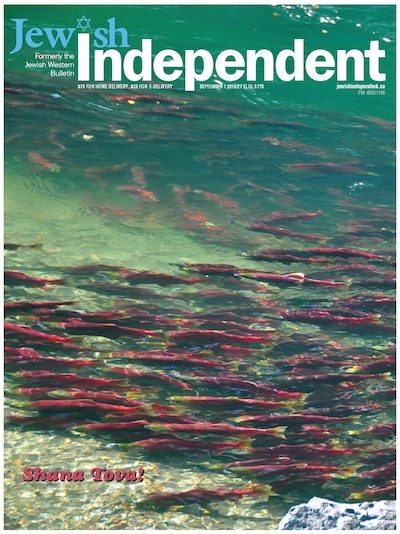 The print edition’s cover photo of the salmon run on Adams River by Leah Ramsay was taken in 2010 at Tsútswecw Provincial Park, near Kamloops, B.C. Formerly named after conservationist and author Roderick Haig-Brown, the park was renamed Tsútswecw this past June. Tsútswecw (pronounced choo-chwek) translates to “many rivers” and the park, established in 1977, encompasses the spawning beds of the sockeye, chinook, coho and pink salmon. Every fourth year is a “dominant” run, with millions of salmon returning – 2010, when this photo was taken, was a dominant year, as is 2018. In honour of the occasion, there is a festival held at the park, called Salute to the Sockeye, which runs this year from Sept. 28 to Oct. 21. One of the symbols of Rosh Hashanah is the fish head – “we should be the head and not the tail.” There are the themes of creation, rebirth and renewal, as well. In the run, the salmon return from the ocean to their natal stream to spawn, after which most die, their bodies providing nutrients to the vegetation and animals, and the lifecycle begins anew. This all happens in British Columbia from September through November. 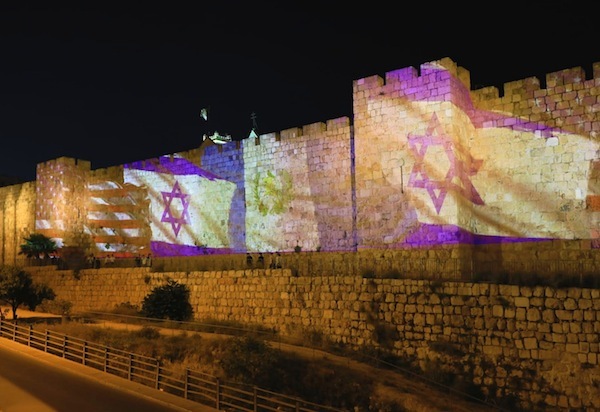 It has been a year of diplomatic success for Israel, as more countries upgraded their relations with the Jewish state. 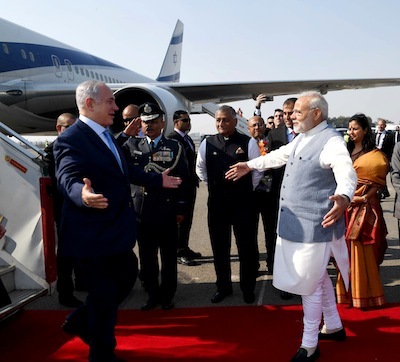 This took, in general, two forms: heads of government making an official visit to Israel or Prime Minister Binyamin Netanyahu visiting other countries; and the establishment of the embassies of the United States, Guatemala and Panama in Jerusalem, Israel’s capital. In April, at a special press conference hosted by Netanyahu, the world learned of the secret storage facilities in Iran that housed Iran’s nuclear ambitions. 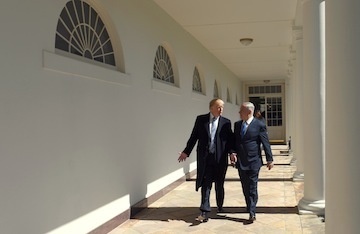 It is not known exactly how Israel managed to find out the location of the files, or how they were copied and brought back to Israel, but the revelations served Israel well, and the files were instrumental in making the United States renege on the nuclear agreement that President Barack Obama had made with the Iranian regime. It was a long, hot summer in more ways than one. 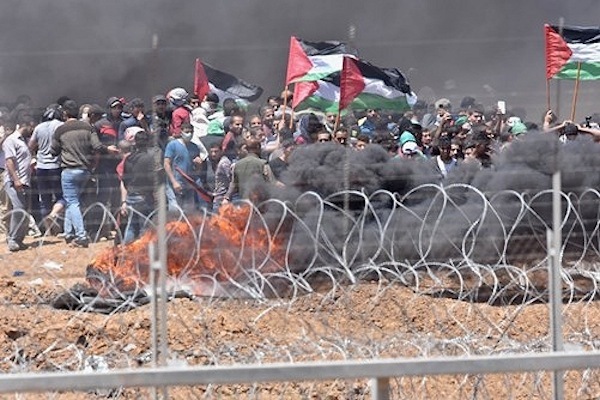 The latest form of terrorist aggravation was for Gazans to assemble in the thousands along the Gaza-Israel border and launch kites and balloons to which were attached flaming torches that set fire to forests and agricultural fields in Israel, causing uncountable damage and destruction. A variation of this procedure was for terrorists to attach flaming torches to lines attached to the legs of kestrels who managed to survive long enough to set trees alight in Israeli forests near the border. In better news, this year Israel became the focus of the world’s cycling fraternity. 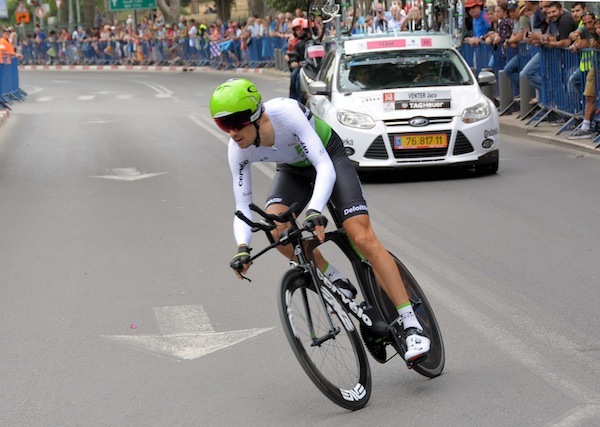 Due to the generosity of Israeli-Canadian billionaire Sylvan Adams, one of the three most important annual cycling races in the world, the Giro d’Italia, started in Jerusalem with a time trial and then took the cyclists from Haifa to Tel Aviv, with a third stage from Be’er Sheva to Eilat. All this was made possible by an $80 million donation to the federation organizing the event. It was one of the biggest sporting events ever staged in Israel and was seen by tens of thousands on television around the world. 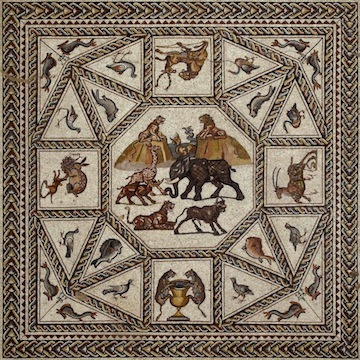 The Jewish year opened with the announcement that one of the most outstanding mosaics ever found in Israel, from the Roman era, was going to be incorporated in a new museum in the city of Lod, where it had been found during preparations for building works. This beautiful mosaic was one of many important archeological finds in Israel in the past 12 months. Also at the start of the Jewish year, tourism in Israel hit a new high, with the three millionth tourist of 2017 arriving at Ben-Gurion International Airport in November. 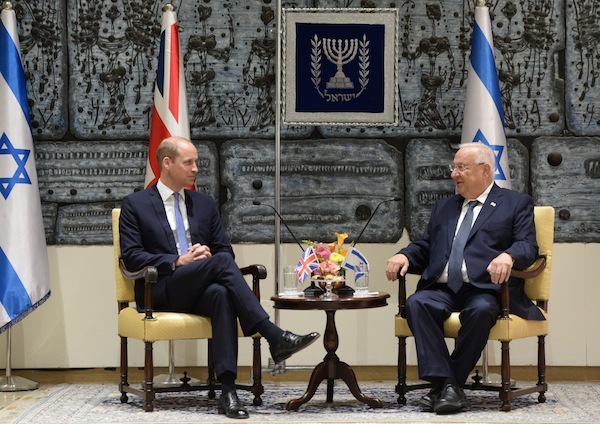 And, this summer, Prince William made an official visit to Israel, where he was received by President Reuven Rivlin and Netanyahu. Members of the British Royal family have been to Israel before, but never on an official visit. As always, Israeli technology, universities and medical prowess was remarkable over the year. And, when natural disasters occurred around the world, such as earthquakes and floods, Israel was among the first to send aid. Not all the news was good for Netanyahu, who, for a major part of the year, was being investigated and questioned by Israel Police for allegedly obtaining inappropriate large-scale benefits from businessmen – charges Netanyahu strenuously denied. Ari Harrow, Netanyahu’s former chief of staff, signed a deal to become a state witness to testify against the prime minister. 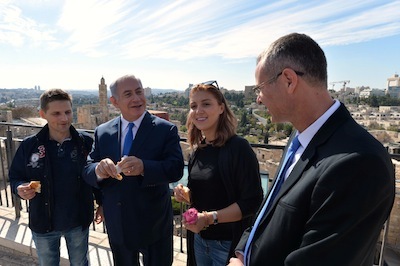 The Jewish year also saw Netanyahu’s wife Sara receiving a lot of negative press. 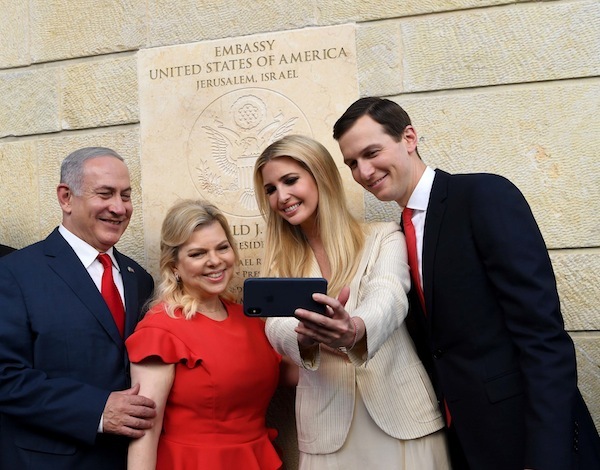 In the previous year, the Jerusalem Labour Court awarded an employee of Sara Netanyahu’s the sum of $46,000 as he claimed that she had been abusive towards him and withheld wages at times. While she appealed the ruling, it was turned down. She is now being investigated for allegedly ordering expensive meals at the prime minister’s official Jerusalem residence at government expense, despite the fact that the prime minister’s official residence employed a cook. She refutes the accusations. 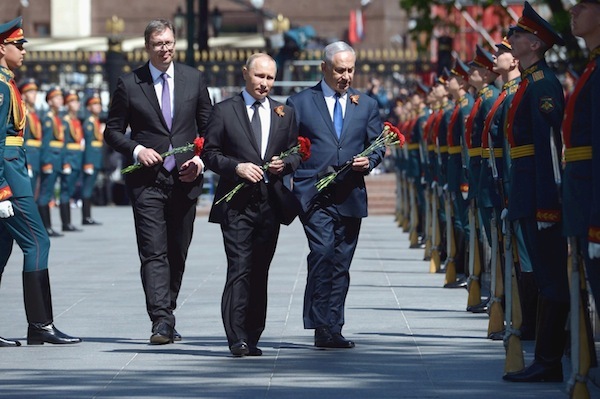 Despite these problems, Binyamin Netanyahu maintains a high international profile – he has the ear of presidents Donald Trump and Vladimir Putin, for example. As 5778 closes, Israel has the pleasurable problem of deciding how best to market the huge natural gas finds that are presently churning about below the waves of the Mediterranean Sea, well within Israel’s exclusive continental shelf. 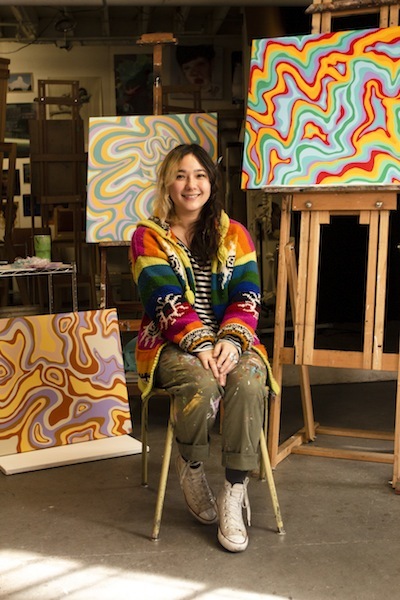 Recent Vancouver high school graduate and award-winning photographer Liron Gertsman is heading to the University of British Columbia to study biology. 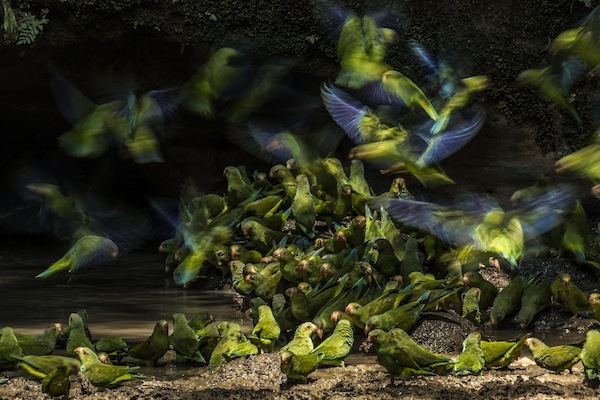 His main passion is taking photos of nature, particularly birds, in the hope of sparking in viewers feelings of love and awe for the environment, leading to improved conservation. “I believe people need to see the natural world if they want to protect it, so I try to do that through my photos,” Gertsman told the Independent in an interview. From as young as 5 or 6 years old, Gertsman spent a great deal of his spare time walking around his neighbourhood, keeping an open eye. Gertsman’s love of nature does not seem to have come from his parents, who are both businesspeople. His dad is a real estate tax consultant and his mom is an accountant. Now that he is heading to UBC, Gertsman is not sure if he will integrate photography with research on birds, or if he will become a professional nature photographer. Gertsman posts his photos on his website and social media accounts, and some have won contests. 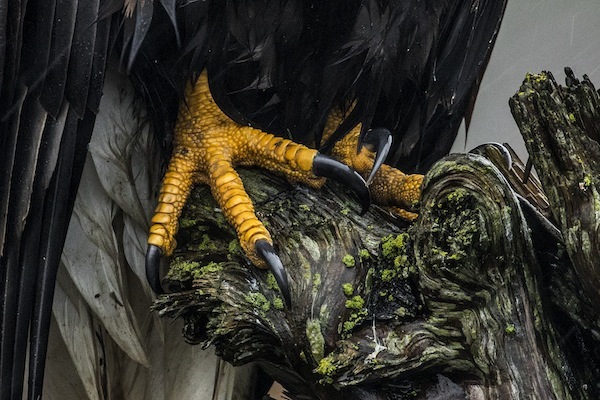 Most recently, three of his photos were recognized by the Audubon Photography Awards, winning the youth category prize and honourable mentions. “It’s a great way to show more people your work, show them the beauty of nature,” said Gertsman. “Some of my photos have been featured, in the past, in magazines and in web articles. “We are at a point now in the world where, if we don’t change something big … we’re going to be heading into some dark times. The environment is at a very unstable point right now. 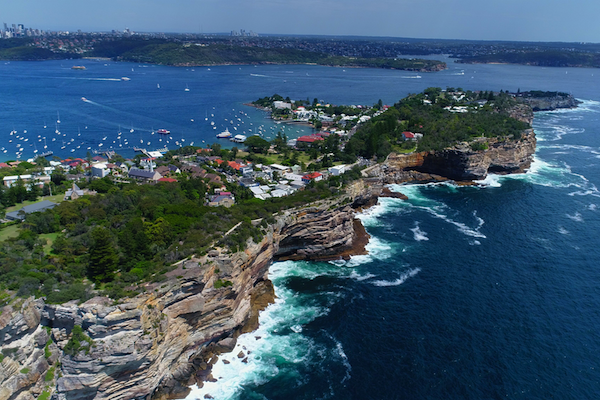 Our actions in the next little while are going to have a big impact on whether there’s going to be nature and a natural environment to live in, in the years to come. This past spring, Gertsman was in Israel, one of the most amazing places in the world for birdwatching, as “all the birds migrating from Africa to Europe pass through in Israel,” he said. There are many ways people can help promote the environment, he added. “You can help me spread my message – tell your friends, share my website, follow me on social media, my Instagram. I post, almost every day, my latest pictures on Instagram. Hopefully, through that, I’ll be able to reach more people. “It’s increasingly difficult to motivate people to do things individually, but individual action can have wide affect. When a government adds a regulation, it has an impact and, when regulations are taken away, that too has a huge impact. So, in the way we think about our political leaders, there’s something we can do as a nation there. For more information, visit lirongertsman.com or @liron_gertsman_photography on Instagram. Two new original exhibits opened at the Vancouver Holocaust Education Centre recently, concurrent with the opening of the centre’s redeveloped space. Both exhibits emphasize local relevance of broader Holocaust history. In Focus: The Holocaust through the VHEC Collection includes items that the Holocaust centre has assembled over decades. Thematic aspects of Shoah history are illustrated through documents, photographs and artifacts. Interactivity is incorporated through replica items in adjacent drawers, which visitors can handle and explore. Electronic kiosks encourage deeper and broader exploration of topics, including cross-referenced databases that connect, for example, all holdings related to an individual, a place, an event or other search query. Among the items on display are a yellow Star of David worn in the Theresienstadt camp in Czechoslovakia, a fragment of a prayer book burned during Kristallnacht in 1938 and found on the street in Berlin after the violence temporarily subsided, and a photo album of life in the Netherlands under Nazi occupation, created from negatives that were developed in 1981 and donated to the VHEC. Also on display is a Torah scroll from Prague, which, along with 100,000 other Czechoslovakian Jewish religious objects, was gathered by the Central Jewish Museum in Prague at the behest of Nazi officials. 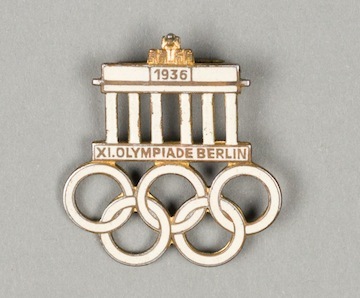 A souvenir pin from the 1936 Olympic Games in Berlin, featuring a replica of the Brandenburg Gate, and a porcelain figurine of an idealized Aryan woman produced around the same time speak to that portentous international sporting event. Artifacts from life in hiding include a wooden toy dog that belonged to local child survivor Robert Krell. Among the most unusual items on display is a chess set modeled from chewed bread and sawdust, then painted and varnished. Photographs illustrate life in the ghettos, life in hiding and the “Holocaust by bullets,” the process of mass murder in Eastern Europe perpetrated by Einstatzgruppen (Nazi death squads) and collaborators. Also on display is a letter, dated April 20, 1945, from U.S. soldier Tom Perry to his wife Claire after arriving in the liberated Buchenwald concentration camp. “I want to write you tonight about one of the most moving experiences I’ve ever had, as well of as one of the most horrible things I have ever seen.… With the idea not of pleasing you, for what I saw there was really too horrible to be seen by any decent human being. But with the thought that as my wife you would want to share with me my most horrible as well as my pleasant experiences. And because I think the rest of the family and our friends should know from personal observations what bestial things the Nazis have done, and what a dreadful menace they have been to people all over the world.” The letter proceeds in graphic detail. The second exhibit is even more intimately connected with the local community. Faces of Survival: Photographs by Marissa Roth consists of portraits of British Columbians who survived the Shoah. 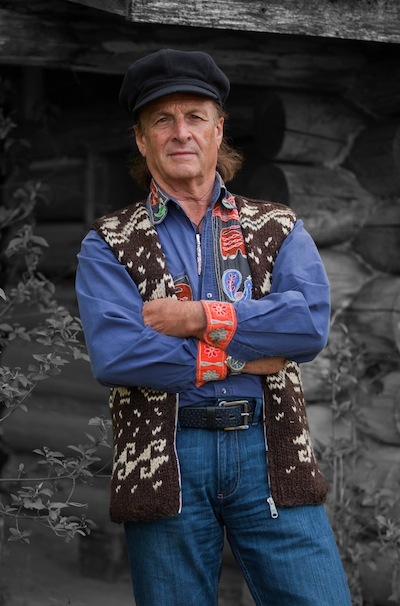 Roth, a Pulitzer Prize-winning photographer who created a similar exhibit at the Museum of Tolerance / Simon Wiesenthal Centre in Los Angeles, took portraits of survivor volunteers, including both past and present VHEC outreach speakers and board members. In cases where the survivors themselves have passed away, the portraits feature family members holding a photo of the survivor. 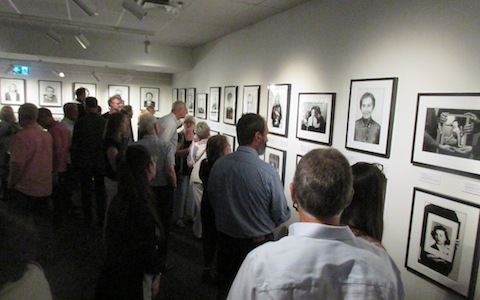 The subjects were asked two questions: “Why do you think it is important to remember the Holocaust?” and “What message do you want to convey to students?” From their answers, captions were created to accompany the portraits in the exhibition, which was made possible by the Diamond Foundation. Both exhibits continue until next year, and information on opening hours and other details can be found at vhec.org. After the routine business of the annual general meeting, Dr. Ilona Shulman Spaar, VHEC education director, presented the 2018 Meyer and Gita Kron and Ruth Kron Sigal Award to educators Sharon Doyle of South Delta Secondary and Julie Mason of David Oppenheimer Elementary in Vancouver. The award recognizes excellence in Holocaust education and genocide awareness in B.C. elementary and high schools. Ed Lewin, past president of the organization, conferred life fellowships on Ethel Kofsky and Dr. Martha Salcudean. Introductions and explanations of the new exhibitions, as well as of the renovated centre, were presented by Nina Krieger, VHEC executive director, architect Brian Wakelin, principal of Public: Architecture + Communication, and Shulman Spaar. Hodie Kahn offered reflections from a second-generation perspective. 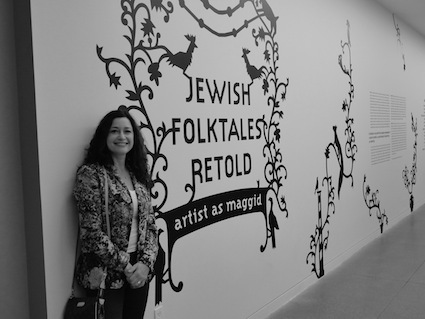 Artist Dina Goldstein is a proven storyteller, so it’s not surprising that she was asked to take part in the exhibit Jewish Folktales Retold: Artist as Maggid, which opened at the Contemporary Jewish Museum in San Francisco on Sept. 28. Metro Vancouverites will also have the chance to see her photographic interpretations of 11 “classic Jewish tales” – Snapshots from the Garden of Eden – at the Zack Gallery this month. But, Goldstein was curious enough that she asked Galpin – who worked with CJM chief curator Renny Pritikin on the exhibit – to send her Leaves from the Garden of Eden so she could take a look. “After receiving it,” she said, “I found that I really enjoyed reading these ancient stories. I told him that I could possibly photograph a few pieces as a contributing artist. She created two images for Ashmodai. All of Goldstein’s tableaux are striking, fascinating to explore and contemplate. Goldstein’s photographic creations challenge viewers’ perceptions, asking them to reconsider the stories they’ve been told. Her collections include Fallen Princesses, which imagines how 10 of Disney’s princesses would face the challenges of real women; In the Dollhouse, which focuses on Ken and Barbie’s not so happily ever after; Gods of Suburbia, which brings various deities down to earth; and Modern Girl, which looks at consumerism in Western culture using the imagery of Chinese pinup girls from the 1930s. The creative process for Snapshots from the Garden of Eden was similar to that of these previous works. And, because of that, local community members will have the chance to see Goldstein’s work at the Zack. 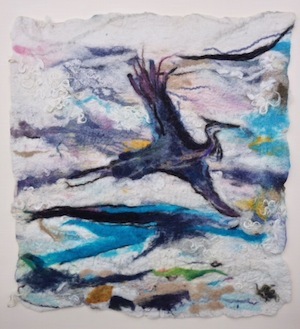 Snapshots from the Garden of Eden opens Dec. 14, 7 p.m., and runs until Jan. 20. Through education and remembrance, the Vancouver Holocaust Education Centre engages British Columbian students, educators and the broader public with the history of the Holocaust – the Shoah – and its ongoing relevance. Building on the VHEC’s achievements as Western Canada’s foremost Holocaust teaching museum, the centre’s renewal project, currently underway, will reconfigure the centre’s space to better serve the community and advance the organization’s vital mission. 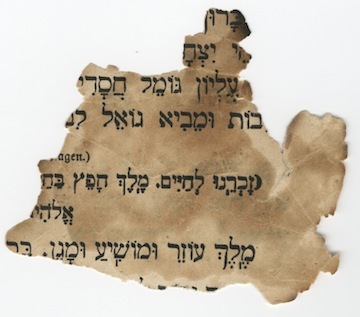 The preservation of the VHEC’s collection of artifacts, and their use in support of Holocaust education in the post-eyewitness era, has emerged as a new area of emphasis for the future. To provide access to its archival collections and to better meet the needs of students and educators, the centre is proceeding with needed infrastructure upgrades, with support from the Government of Canada (Canada 150 Cultural Infrastructure Program), the Province of British Columbia (British Columbia/Canada 150: Celebrating B.C. Communities and their Contributions to Canada) and the Jewish Community Foundation. The project will feature temperature and humidity-controlled archival storage and display facilities to enhance the visitor experience. The centre also looks forward to incorporating electronic access portals, which will allow visitors to interact with key themes in Holocaust history and with artifacts, documents and testimonies from the collections at the touch of a screen. 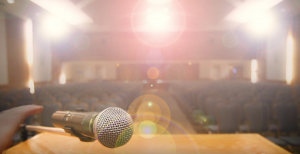 Additionally, the VHEC is developing a designated audio-visual programming space that will allow Holocaust survivor outreach speakers – perhaps the centre’s most powerful, and certainly most in-demand, educators – to interact with students and participants in remote locations throughout British Columbia and beyond. The VHEC renewal project will enable the centre to reach more students, to fulfil its obligation to archival donors and to engage in the time-sensitive work around ensuring that Holocaust-era artifacts from the community can be collected and integrated into exhibits and educational programs. With plans for an eventual redevelopment of the Jewish Community Centre of Greater Vancouver in progress, the VHEC is ensuring that key aspects of the renewal are modular and transferable, in the event that the centre relocates in the coming years. The renewal will build in flexibility and sustainability. The VHEC looks forward to welcoming students, teachers and community members to its renewed facility in early 2018, and to using its improved facility as a platform for carrying out its programming and interacting with the community. Guests attending the Nov. 22 special event in support of the VHEC, called “Looking Back … Moving Forward: Expanding the Reach of Holocaust Education,” will learn more about the centre’s upcoming plans, and preview the inaugural exhibition that will open in its renewed space. Featuring a commissioned series of portraits of VHEC Holocaust survivor volunteers, the exhibition will honour and put a human face on those who survived the Shoah and have contributed to the VHEC community. Pulitzer Prize-winning photojournalist Marissa Roth created a similar exhibition of portraits of Holocaust survivors associated with the Museum of Tolerance in Los Angeles, currently on permanent exhibition at the museum. Inspired by this remarkable project, the VHEC is launching a documentation and exhibition project by Roth at an important time of transition for the centre and for Holocaust education. The exhibition of black-and-white, matted and framed archival silver gelatin prints will be accompanied by biographical and historical information, and reflections on survival and the importance of education and remembrance. Representing and honouring the survivor volunteers who are no longer with us is an important aspect of the project, which will feature posthumous portraits – photographs of photographs of survivors, in some cases held by descendants. Embodying the VHEC’s commitment to engaging with the past with eyes fixed firmly on the future, the renewal project and the Roth portrait exhibition will honour survivors, invite the participation of next generations and extend the reach of the VHEC’s work to new audiences, asking ever-more-challenging questions of how we extrapolate insights from history to navigate present-day affronts to social justice and human rights. 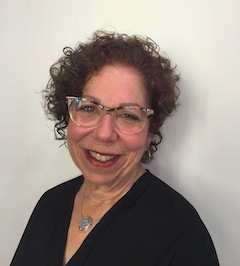 Nina Krieger is executive director of the Vancouver Holocaust Education Centre. 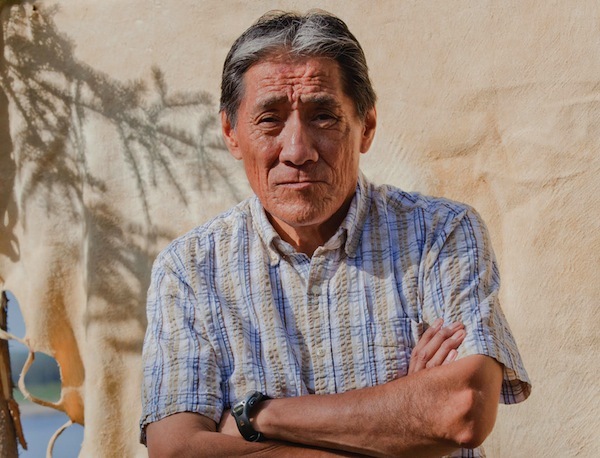 This article originally appeared in the centre’s magazine, Zachor. A photograph of Deadvlei in Namibia, by Judi Angel, is part of the exhibit Eye Lines, at Zack Gallery until April 30. Five years ago at Zack Gallery, Judi Angel had a solo show of photographs from her time as a volunteer in Asia and Africa. Most of her work from that period was portraits of people she met during her travels. 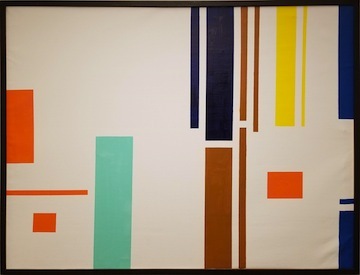 By contrast, her new solo exhibit, also the product of her travels, features no people – instead, her latest works transform landscapes into geometry, into lines, colours and shapes. The title of the new Zack show, Eye Lines, reflects the artist’s new approach. Awhile ago, she began experimenting with her craft. 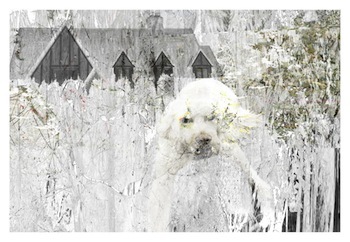 Layering, double exposure, conceptual photography and a new medium for her images – sublimation printing on aluminum – are only some of the new things she has played with recently. But finding unusual images and original angles are still her primary goals. Earlier this year, she and her husband traveled to Namibia. “We went there particularly for photography,” she explained. A few photos in the exhibit come from one of the major Namibian tourist attractions, a ghost town, called Kolmanskop, in the Namib Desert. According to Angel, Kolmanskop was a mining town founded in the earlier 1900s by German settlers to mine diamonds. The miners built their town in their homeland’s style. Today, only sand and tourists move among the empty buildings, and Angel’s photographs demonstrate the power of both. The desert irrevocably reclaims its own, encroaching on the former human dwellings, creeping in through broken windows and open doors. The rippling sand dunes inside the houses look eerie, almost alien beneath the pastel-coloured walls. A different alien landscape meets the travelers outside, in the desert. Angel’s photos of the desert reflect the stark contrast of blue sky and yellow sand. The colours are blinding. “There is a new railway there, in the desert, but the sand always moves. It covers the rails every day and has to be constantly cleared,” she said. Her photograph of a sand dune a couple of metres high, piling across the straight line of rails, is awe-inspiring and achingly beautiful. 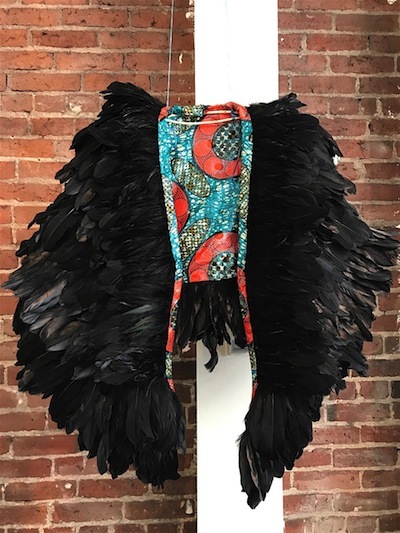 Angel’s experimentations led her to join the Capture Photography Festival, and the current show at the Zack is part of the festival. Launched in 2013, this year’s festival presents photography at more than 70 galleries and community spaces throughout Vancouver. Eye Lines opened at the Zack on March 30 and will continue until April 30. To learn more about Angel’s work, visit judiangel.com.